Saint Paul’s “Everyday Poems for City Sidewalks” is one of the city’s most beloved art installations. A “city-sized book of poetry”, the poems are known to unexpectedly pop up under your feet and onto your Instagram feed. If you’ve ever wondered where and how this award-winning project developed (and continues to develop), this guide is for you. Public Art Saint Paul, the Saint Paul Department of Public Works and Saint Paul residents of all ages. Public Art Saint Paul (PASP) is a private, non-profit that works in partnership with the city to imagine and create a more just, sustainable and beautiful city. Sidewalk reconstruction with a poetic twist. As the city repaired single or double-panel sidewalks throughout all corners of Saint Paul, they also installed poetry written by Saint Paul residents. More than 1,000 installations were made between 2008 and 2016. All over the Capital City! 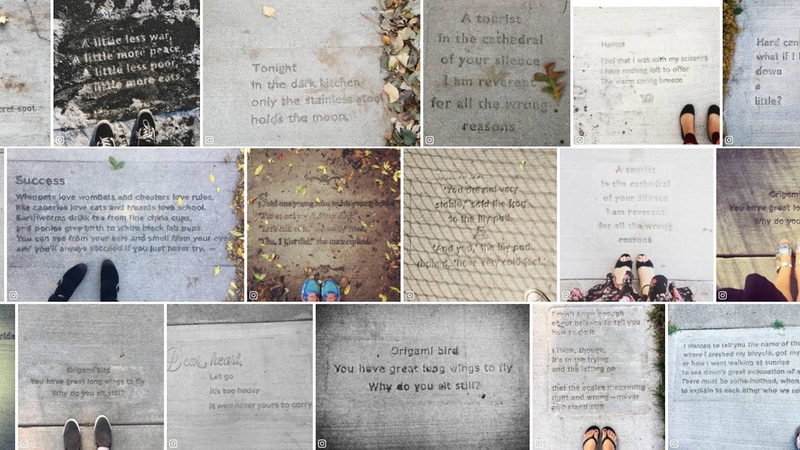 A full listing of Sidewalk Poetry locations is available on Public Art Saint Paul’s website. To gather the poems, the city has run occasional contests between 2008 and 2016. Saint Paul residents submit short, original poems for a chance to win $100 and have their work immortalized on the city’s sidewalks. Submit your own poem to the 2019 Sidewalk Poetry Contest by April 15 for your chance to be added to the collection. It always makes us smile to have sidewalk poetry pop up in our feeds! 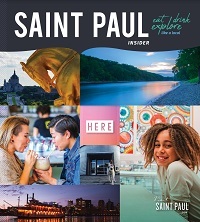 Share your finds with us on Facebook, Instagram and Twitter using the hashtag #MYSAINTPAUL.